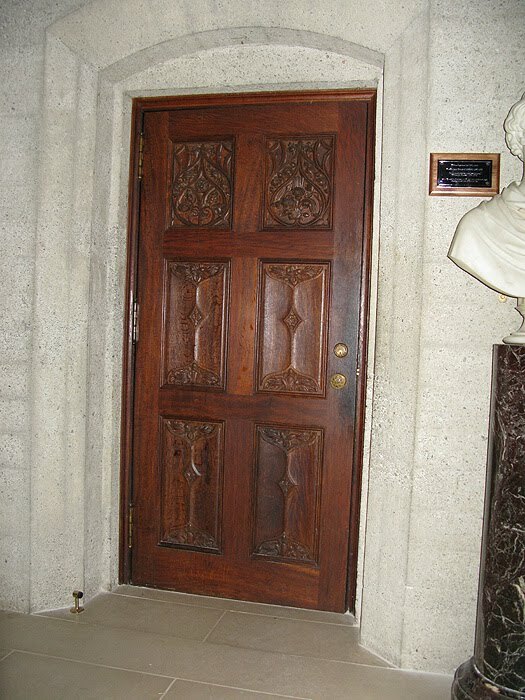 As part of an ongoing exploration of my great-grandfather's wood carving, yesterday's visit was to the landmark Grace Cathedral, atop Nob Hill in San Francisco. I had previously posted some early photos of Sam in the studio with the magnificent organ covers, but had never actually visited the church. My friend Renee and I started out early in the morning with an appointment for a private tour with Michael Lampen, the church's archivist. Michael has been with Grace Cathedral since the 1950's, and is a wealth of knowledge. He even had information in his office about my great-grandfather and family. Unfortunately, it was a dark, rainy day and my camera didn't work too well. I'm going to have to return with a professional photographer and add to this post. 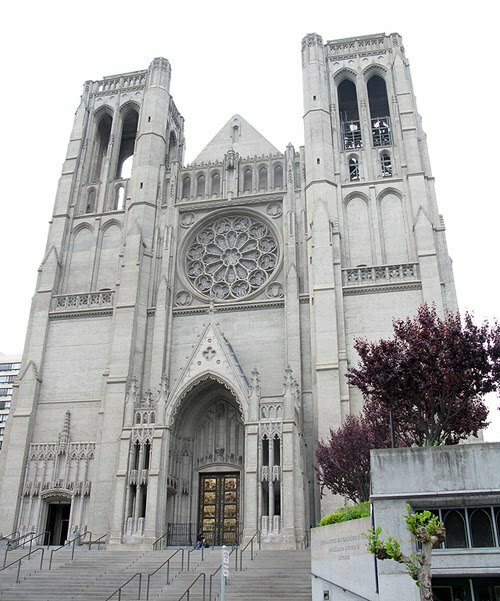 Grace Cathedral, an Episcopal church, is nothing short of awe-inspiring, from its concrete exterior and gilded bronze cathedral doors, to the massive high ceilings and stained glass-laden sanctuary. It is the third largest Episcopal church in the United States. Michael spent almost two hours with us touring this magnificent church, from special back rooms to the breathtaking sanctuary. He went over every detail including important artists' contributions such as Benjamin Bufano, Dirk Van Erp and Charles Connick. In addition to the larger work, small pieces of Sam's work are all over the cathedral such as this detailed piece above. 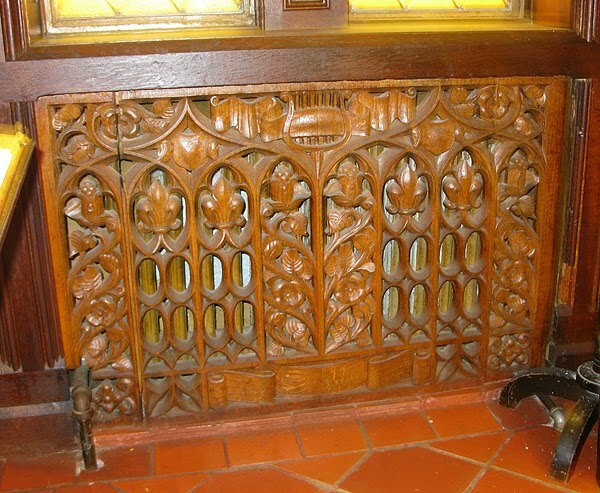 I gasped as I looked up at the massive organ covers that my great grandfather carved. Speechless, I could hardly take out my camera. I can only imagine what these look like when the sun is gleaming through the 68 stained-glass windows and the cathedral is bright. 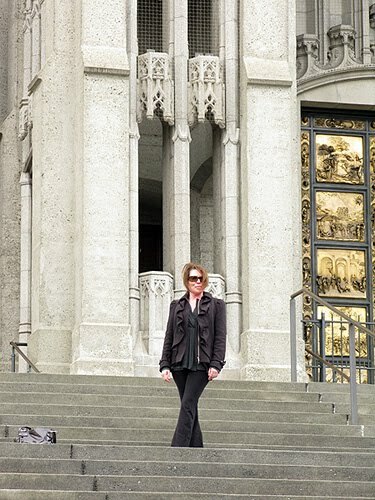 So, that was our day at Grace Cathedral. Breathtakingly beautiful to say the least! Definitely going back for more photos. Special thanks to Michael Lampen for the most fascinating tour. 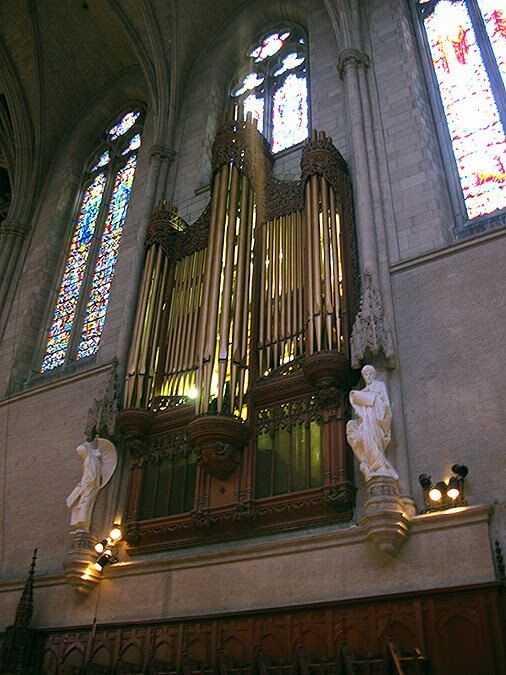 If you're visiting San Francisco, I highly recommend you going to see Grace Cathedral. It is truly magnificent! Again, thanks for joining me! You have such a wonderful family history. 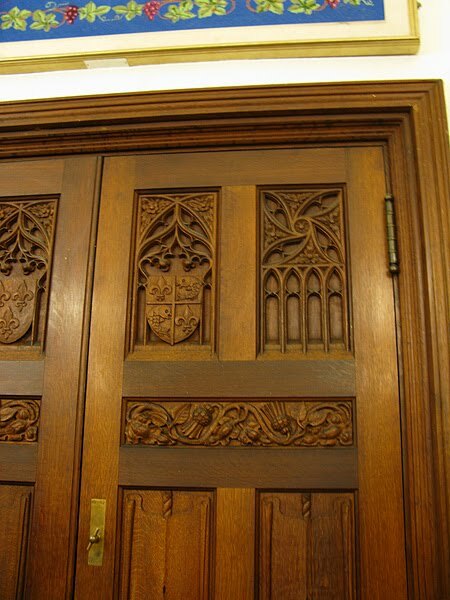 You must have been so proud to see your Great-grandfather's work.... and, it is magnificent work. 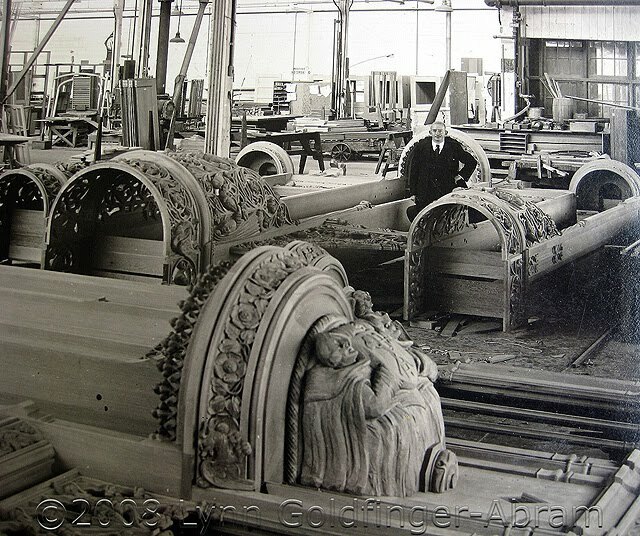 I can never believe that a human being is capale of such magnificent carving. ... and, what a beautiful Cathedral. 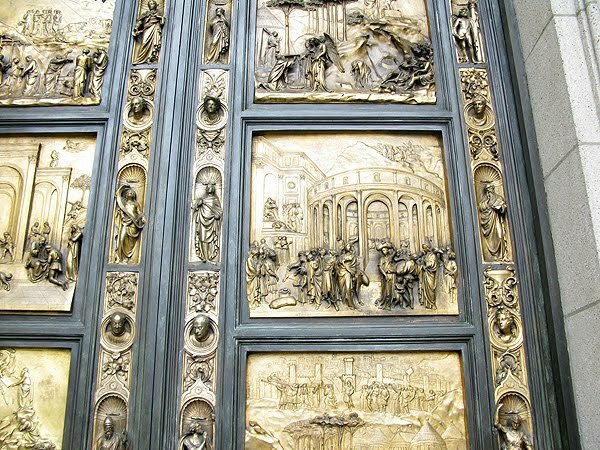 As I scrolled down and saw the doors I thought, they are so similar to the doors at the Duomo in Florence and, that's what you said !! We have been to San Fransisco, but we didn't visit this Cathedral. I definitely will when we go again. wow. 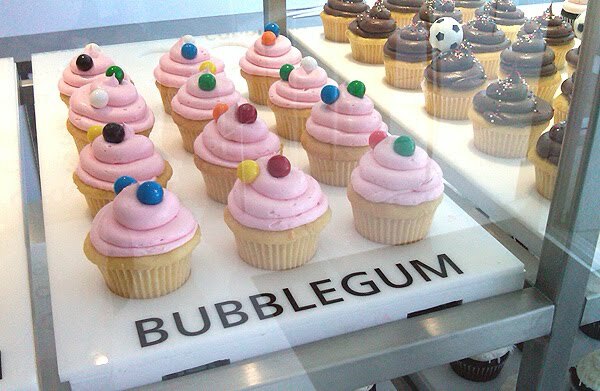 again, wow! those front doors are uh-maz-ing. also i love seeing the old pictures of his workshop! 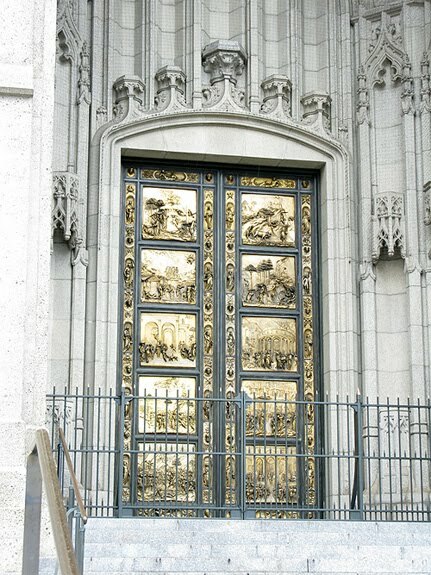 Wow..this is your grandfathers work...amazing..I visited Grace Cathedral visiting SFO few months ago. 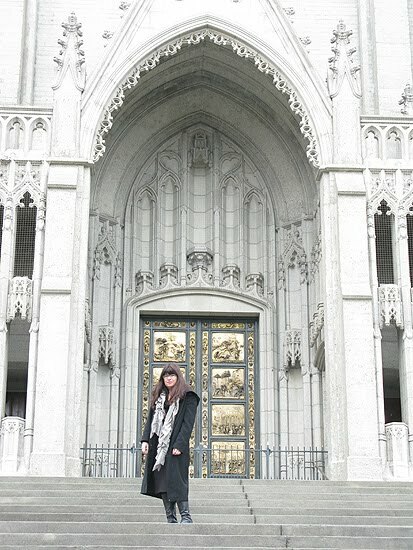 The doors were so beautiful; everything about the church was breathtaking! These pictures are incredible. 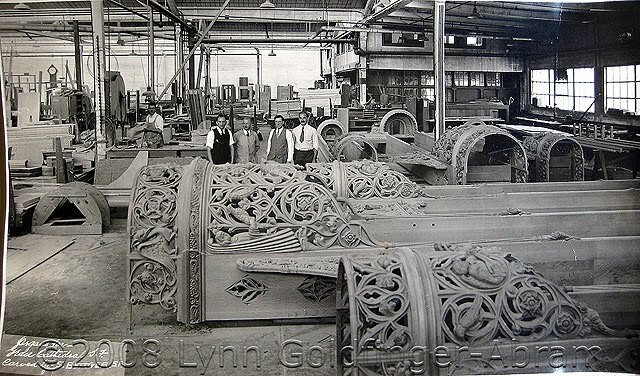 The carvings in the work shop are amazing - I was just showing my husband and he's marveling at the pictures too. Work done on a massive scale like that is so inspiring. What an amazing legacy.